I have been a bit of a collector of great hexagon inspiration lately. I decided it was high time to keep them all in one place for quick reference. Digging around blogs and tutorials is where I love to spend my time. There are so many good things to look at and save later for possibly making. At first, I was like…yeah it’s a hexi…then I made a few, and a few more. And now I’m like YEAH it’s a HEXI!! I love it when you give a try with something and it works out like that. Finding something that will fit in a cute little zipper pouch to carry around and work on in the middle of waiting is perfect! I am amazed at others designs and ideas. Don’t you just love opening up your inspiration boards and looking again, and again? And then when you find a new gem…to add it to your collection. Yeah. Heaven. If you are a collector of ideas too- I’d love it if you followed my journey of collecting new hexagon inspiration…. Print off some templates to get you going on those projects! 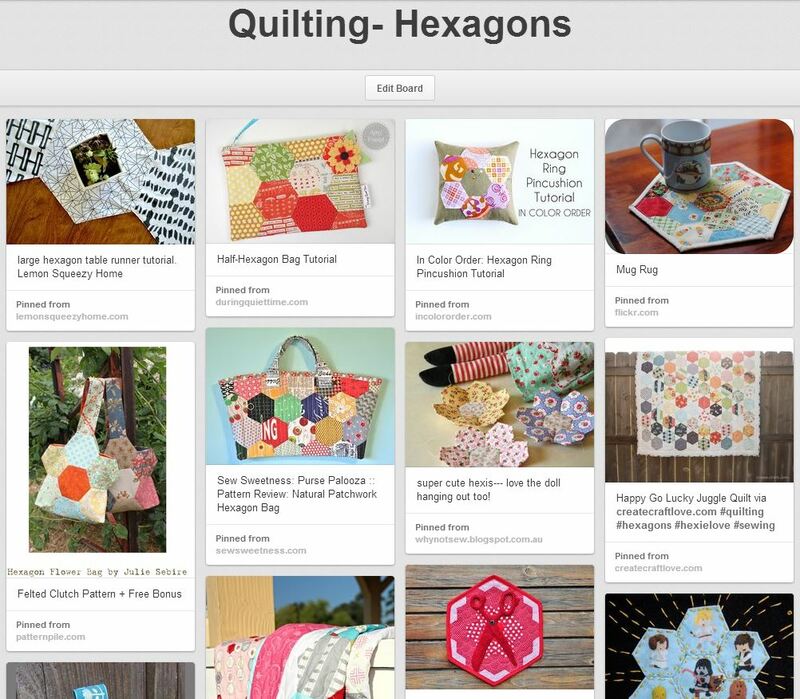 Do you have a favorite Hexagon project?